From the moment you step upward to the main floor of Murrieta’s Bar & Grill, your senses are likewise heightened. The open-concept restaurant feels like a combination of a classic cabin loft and a wine cellar. High vaulted ceilings, wooden beams and cast iron detailing provide the structure of the space, while an extensive selection of wines and liquors fill what walls are there. The rest is made up largely of windows offering stunning views of the Rockies’ vistas, paralleled by paintings of the very same ranges by local Canmore-based artist, Lynne Huras. To the front of the restaurant, the bar calls home to the contemporary style space. To the back, an open kitchen and more intimate dining areas. 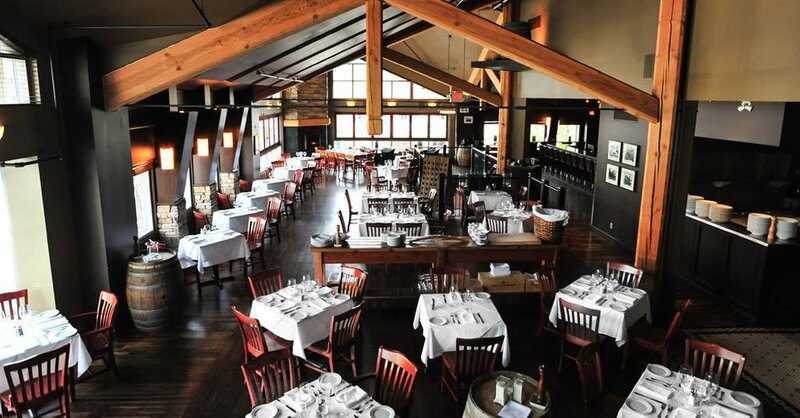 Murrieta’s is no stranger to the Canmore Uncorked Food & Drink Festival, and nor is their chef. Both have actively engaged in the festival’s feature menu and events over the years, with 2018 bringing their best yet. To start, we suggest the Brome Lake duck arancini spring rolls with tangerine and ginger sauce for a surprising, supple twist on this favourite appie. 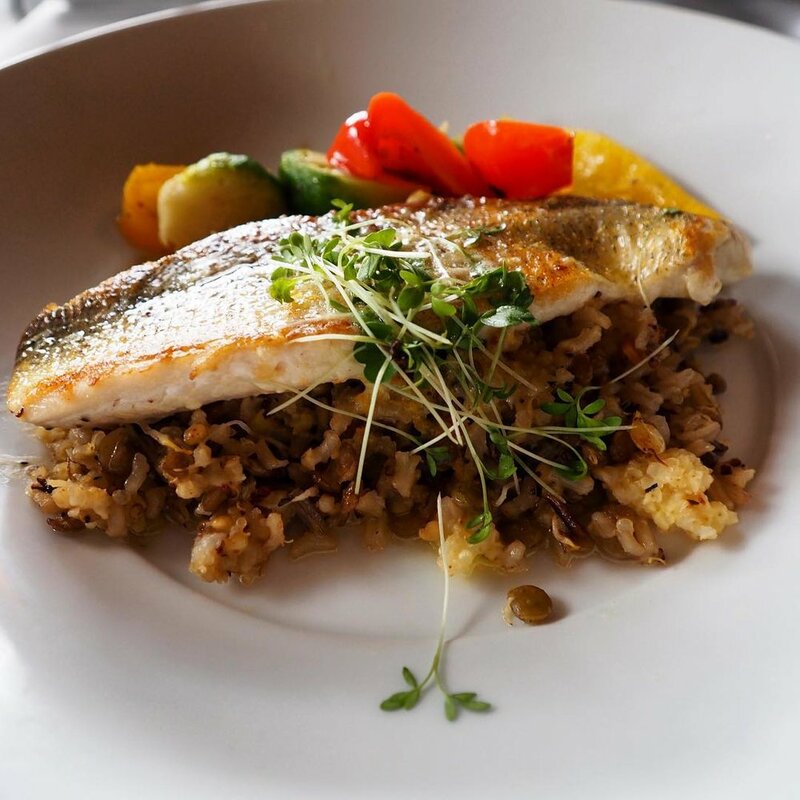 Braised pickerel with honey citrus butter and a roasted vegetable rice pilaf is one entree on offer, and the Prosciutto Manchego chicken supreme, white ale jus herb whipped potato and seasonal vegetables is just as sure to delight. You won’t want to miss their festival feature dessert, either. 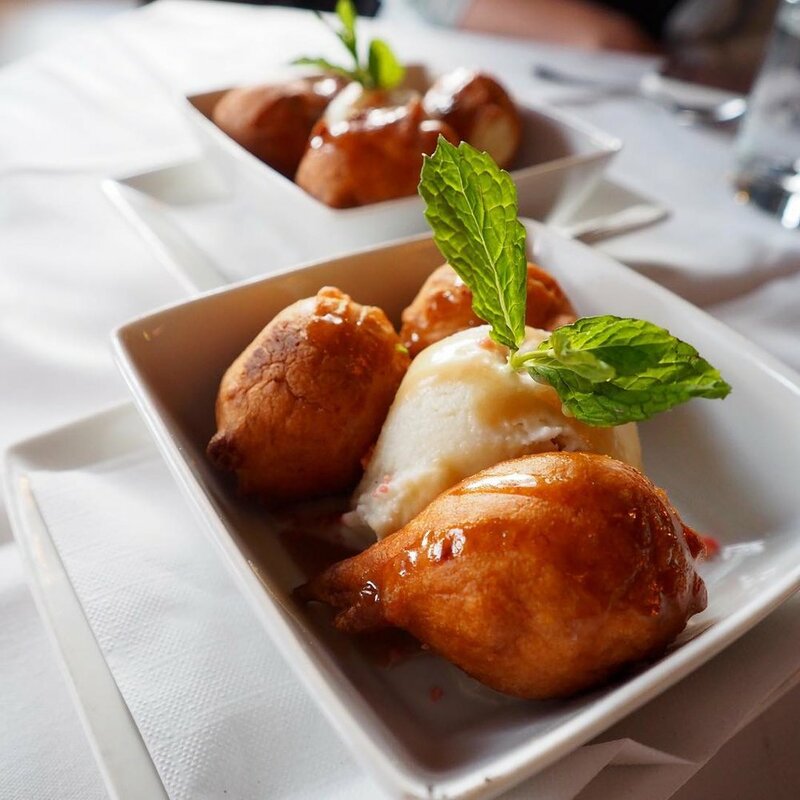 Warm banana beignets with salted caramel drizzle are the perfect treat to cap your meal—sweet, light, and fluffy to perfection. Murrieta's Canmore Uncorked Set-Price Dinner Menu is priced at $37 per person, and available every day of the Festival, until Sunday May 13th, 2018.